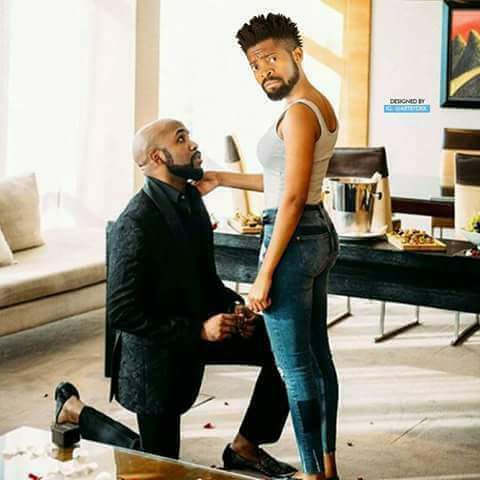 Okay, so one Nigerian decided to play around Banky Wellington's engagement photo, I really don't know what he or she might have been thinking. Basket mouth in place of Adesuwa Etomi, really? Lolz! Nigerians should definitely take a chill pill.